It's Outback Makati's Anniversary Blowout! 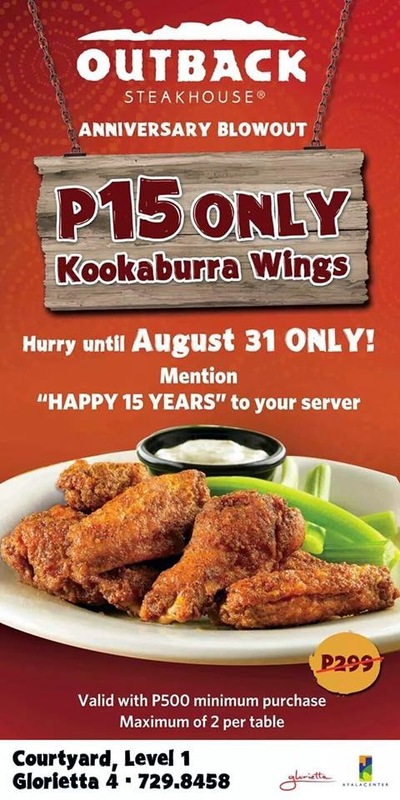 Enjoy Kookaburra Wings for P15 only on its 15th year! Yes, for P15 only! 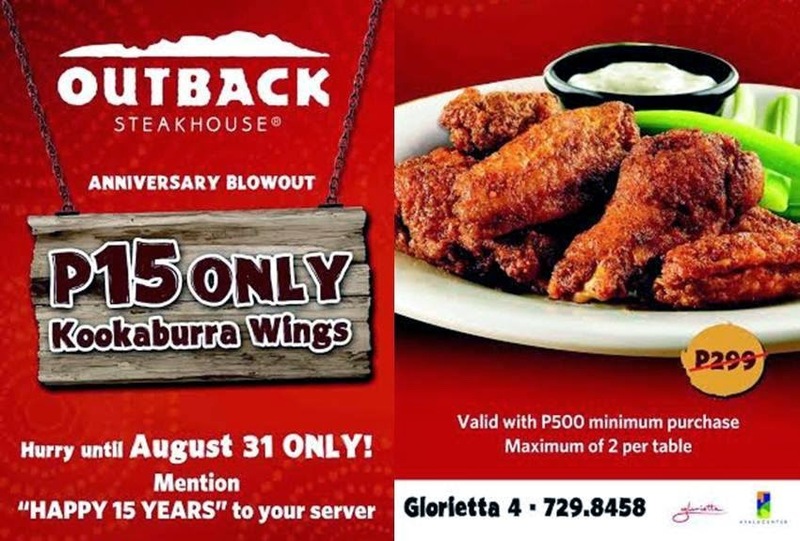 Just mention "HAPPY 15 YEARS" to your Outback Steakhouse server to avail of the promo. Valid with P500 minimum purchase, maximum of 2 per table. Promo runs until August 31, 2014. Terms and conditions apply. Outback is located at Level 1 of Glorietta 4, Makati City.